Congratulations to one of the oldest running clubs in There, Bay Area Boat System (BABS) celebrates its 11th anniversary in our virtual world! To honor this celebration, the BABS group is holding a special activity from October 1st through the 15th. The BABS group supports a network of large landing towers and outposts throughout There. The towers allow big groups of guided hoverboat tours to easily island hop from one location to the next. BABS throws regular events and everyone is invited. You can pilot your own hoverboat or relax and enjoy the scenic view from the passenger seat. The BABS group was founded on September 23, 2004 by Thereian LossAngeles. It holds over 500 members and hosts regular events in There. The BABS group is so extensive, it has three sub-groups consisting of the BABS Flight Captains, BABS Host Captains and the BABS Outpcost Community. In honor of their 11th anniversary, BABS is hosting a special activity during the month of October. It’s called the Celebration in Pictures and encourages Thereians to attend events, tours and to get out and meet new people. 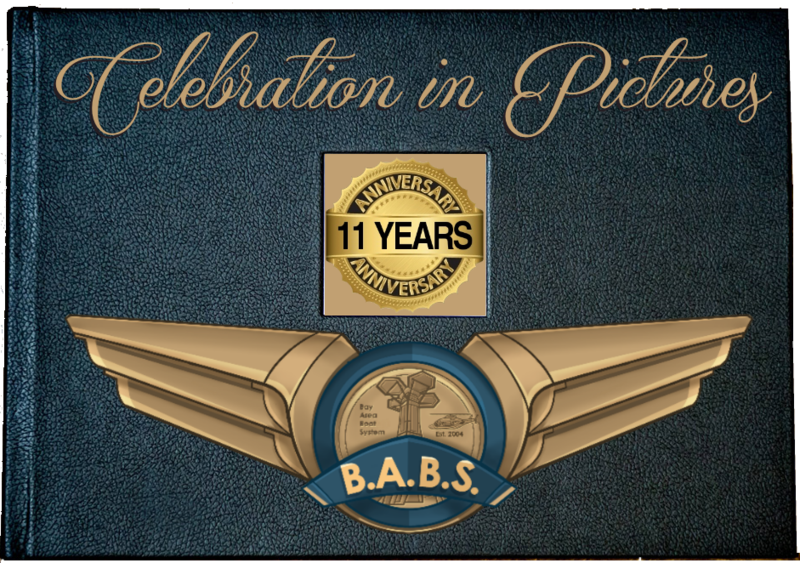 The idea is to take pictures with any BABS Flight Captiain, Host Captain, Outpost owner or capture photos of any BABS outpost tower, BABS event or tour to qualify for entry into a random chance selected reward. Prizes will be awarded at the Celebration in Pictures wrap-up party event to be held Wednesday, October 16th at 7:00 PM Eastern/10:00 PM Pacific at the BABS Club House. 1. Capture a photo of a BABS flight captain, host captain, outpost tower owner, outpost tower, event or tour, you with your favorite hoverboat, your name on a boat track at Skidmark Speedway, you racing your hoverboat at Skidmark Speedway, the BABS Club House or an unfortunate boating accident. 2. Submit your avatar name and photo(s) via email to photos@babscommunity.com. 3. Attend the wrap-up party and see if you’ve won a prize! How do I find these places, people and events to capture a photo with? You can contact one of the the BABS Flight Captains by ThereMail or IM’ing them in-world. The BABS Flight Captains are Cissy_59, Fatjohn, Glynni, Jayess1, KatesHappy, Loriendil, Mushka, Redneck97317, RK_Falagar, SunnyMusic and TimeScaper. You can contact one of the BABS Host Captains by ThereMail or IM’ing them in-world. The BABS Host Captains are BlueAnn, EmmaJean, Fatjohn, Jayess1, Kateshappy, KorbenCongrejo, Noxy, Susanszy, Zayden and Xxxjoshuaxxxx. The official rules of the Celebration in Pictures activity can be found at the BABS Club House.